At Castle Glass we not only provide new products but also offer a host of additional glazing services Our experience in working with glass allows us to offer a large range of complimentary glazing services. Operating throughout Essex, Herts and Suffolk our skilled glaziers will come to your premises or home and repair your broken or cracked windows on site, safely and with little disruption to you. We also ensure that we get to you quickly as we understand how unnerving it can be having a cracked or broken window particularly for homeowners who often feel at risk if their home isn’t fully secure. We can work with any type of glass and will if necessary be able to replace the window or double glazing unit for you. We pride ourselves on our customer service and we ensure that your security is our number one priority. In fact if you need a piece of glass for any purpose pretty much then do get in touch, we can advise on the type required as well as cutting it to meet your specifications. We do a lot of bespoke table tops and shower screens that allow you more flexibility when designing your home and/or installing a new bathroom or kitchen. You don’t need to fit in with the manufacturer when it comes to glass as we can make sure you get what you need. If you want to find out more about our glazing services and as mentioned are based in Essex, Suffolk or the Herts area then please do feel free to either give us a call on the phone number at the top of the page, or you can fill out our online form and we will be in touch! We like to think that when it comes to glass and glazing services, that whatever the question, we have the solution. In the last 40 years,we have come across all sorts of glazing dilemmas, but nothing has beaten us. Whether it's to repair a cracked window or maybe a broken window, repairing failed double glazing units. 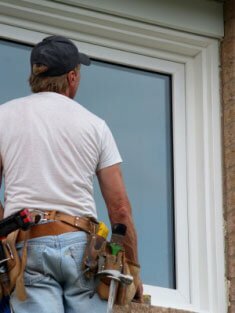 If you are looking for glazing service suffolk, glazing service braintree, glazing service herts or glazing service essex, you have come to the right place.